When was the last time you changed your wallet? A year ago, 5 years? Ten? Let me put it this way – is it currently held together with scotch tape, bursting at the seams or is the leather cracked and faded? Thought so. You might want to think about retiring this long-suffering companion that’s bulking out your back pocket and warping the shape of all your good shirts. Now is the time to refresh your style with a sleek, modern men’s leather wallet. There’s an ocean of men’s wallet styles on the market, each with their own use. The classic bi-folds and tri-folds are a go-to, all-round choice for every day. Zip-around styles are useful if you need something more secure for the contents of your wallet. 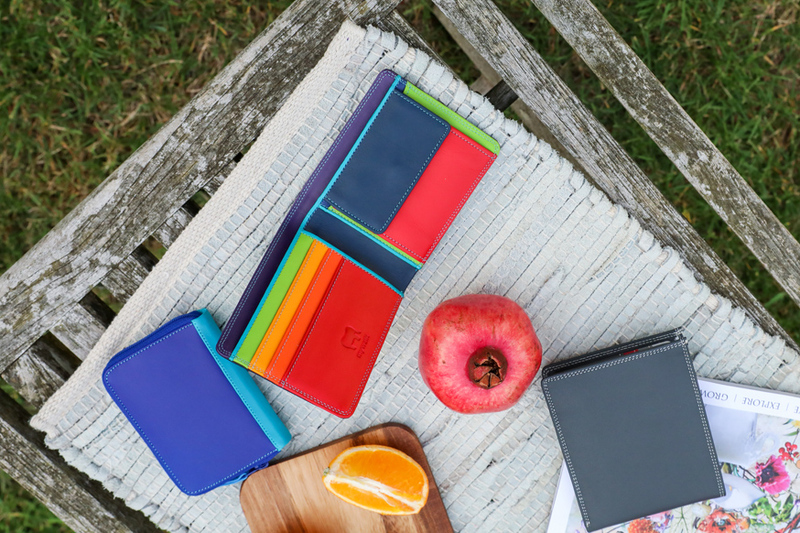 And then there are travel wallets; while not ideal for everyday use, they’re a must-have when you travel to keep essential items all together – especially if you’re going with kids or perhaps a forgetful colleague! So, the question becomes: How do you choose the right wallet for you? First, think about what you absolutely need in your wallet (it sounds obvious, I know but stay with me.) Do you NEED all those store cards, membership cards and receipts? Cutting down on the bulk can really free up your choices and allow you to downsize to a slimmer design. If you’re a true minimalist, a Magic Wallet is just for you. 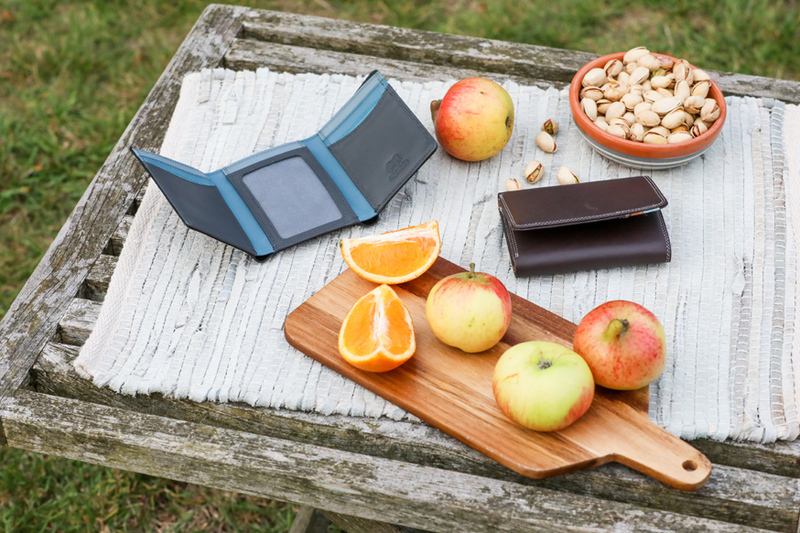 It holds your cash and a few cards in an ultra-slim design. Tuck banknotes away with a flick of the wrist, thanks to a unique arrangement of elasticated straps. Now you see it, now you don’t! Maybe you need to keep track of receipts for work and expenses at home, but still want that streamlined style. If this is the case consider a slim wallet, one that can still hold what you need but keeps the bulk at bay. Second, choose a wallet that reflects your style. Bi-folds are simple and elegant. They’ll look as good with a suit as they would with casual jeans and a t-shirt. Our classic Men’s Jeans Leather Wallet is perfect to slip inside your pocket with its minimalist style and slim design. Tri-folds are seen as trendier, for the guy who likes to have everything in its right place. The design tends to be more voluminous than a bi-fold to accommodate cash, cards, coins and an ID window but sacrifices nothing in terms of practicality or personal style. Our Men’s Tri-fold Leather Wallet is a smart and compact style new for this season, and it could just be the only men’s leather wallet you’ll need. 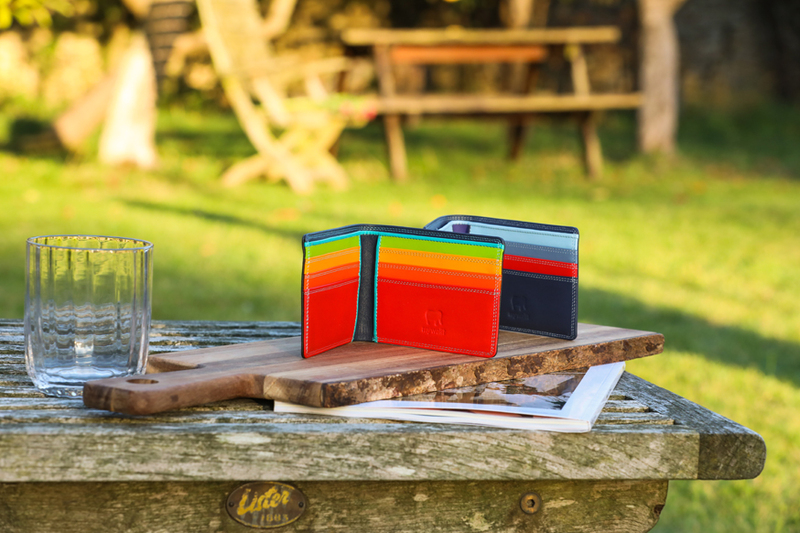 Finally, don’t forget about colour when choosing your perfect men’s wallet! Think about it – your wallet travels with you every day, so why not make it your own? Whether you go bold or stay subtle, we have plenty of shades to suit your look. Browse the range here for more inspiration.